Tyler considers zucchini a weed and thinks I should never plant it. This time of the year it seems like you can barely get rid of the stuff without paying someone to take it. The fact that it’s worthless, combined with the idea that he doesn’t like it has convinced him there is no use in planting it and it just takes up valuable space in the garden. 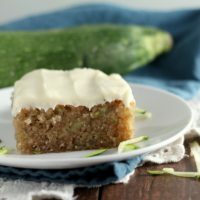 I have been able to change his mind about zucchini this year with this cream cheese frosted zucchini cake and a zucchini bread recipe. He admitted it was actually tasty, of course it took a thick layer of frosting to convince him though. Sugar will do that to about anything. In other news, can you believe it is August already? I feel like the summer just started. I don’t know if working full time in an office affects my perception since I spend all day inside. Or perhaps it’s a common feeling from others, but summer goes by too fast. I recently I heard that pumpkin and Christmas cookies were started to trend already on Pinterest. That’s crazy, especially the Christmas cookies. Don’t worry, I’ll be sticking to summery food like zucchini for a little bit longer. How do you guys feel about apples? Are they considered summer produce? Or do they belong in the fall? I recently made some fun apple recipes I can’t wait to share with you. 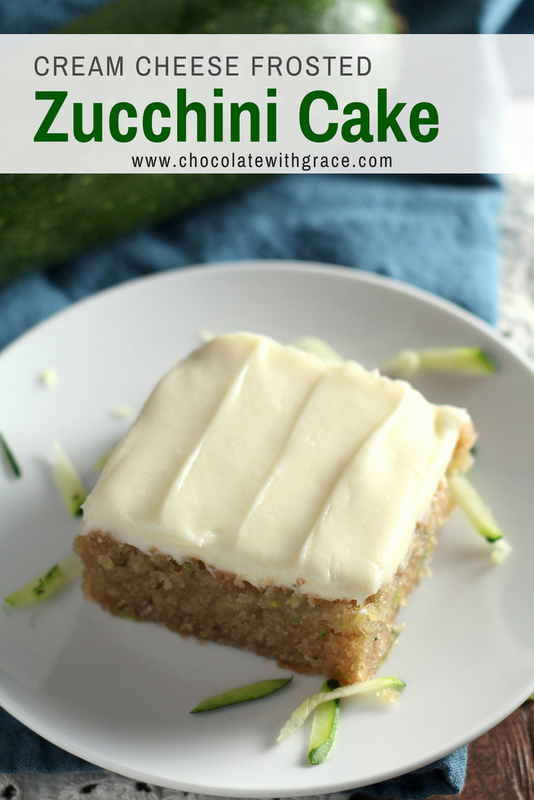 Soft zucchini cake frosted with a rich, tangy cream cheese frosting - the best way to eat zucchini this summer! Preheat oven to 350 F. Grease an 8x8 inch baking pan. In a large bowl, whisk together the zucchini, sugar, oil and eggs. Combine the flour, cinnamon, salt, baking powder and baking soda in a separate bowl. Gently stir the dry ingredients into the wet. Spread the batter into the greased baking pan. Bake at 350 F. for 28-32 minutes. Let cool completeley. To make the frosting, beat together the cream cheese and butter until smooth. Beat in the milk, vanilla and powdered sugar. Spread onto cool cake. This recipe can easily be doubled for a 9 x 13 inch pan. 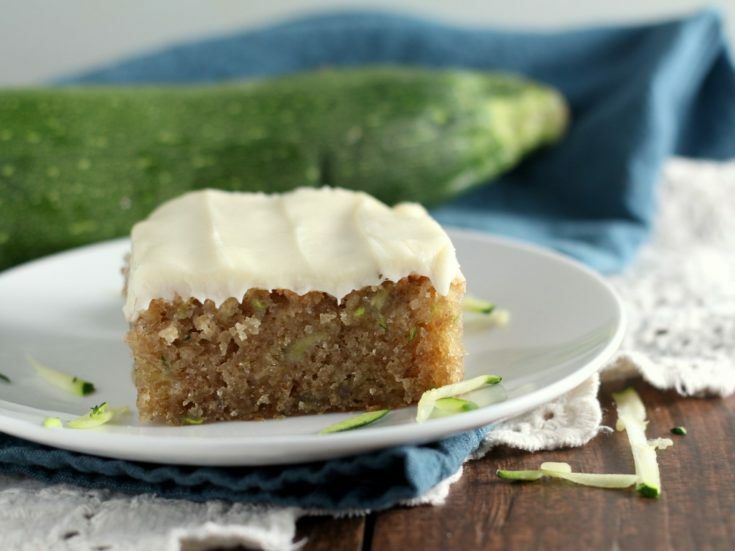 Here are some other ways to enjoy zucchini this summer. Thank you for this excellent recipe. I just baked this cake, and it is fluffy, light, and delicious just like the picture suggests. Happy Summer! Such an amazing recipe!!!! Easy and delicious! Family said it was the best cake they’ve ever had! I just made this. Does it need to be refrigerated with the cream cheese frosting? 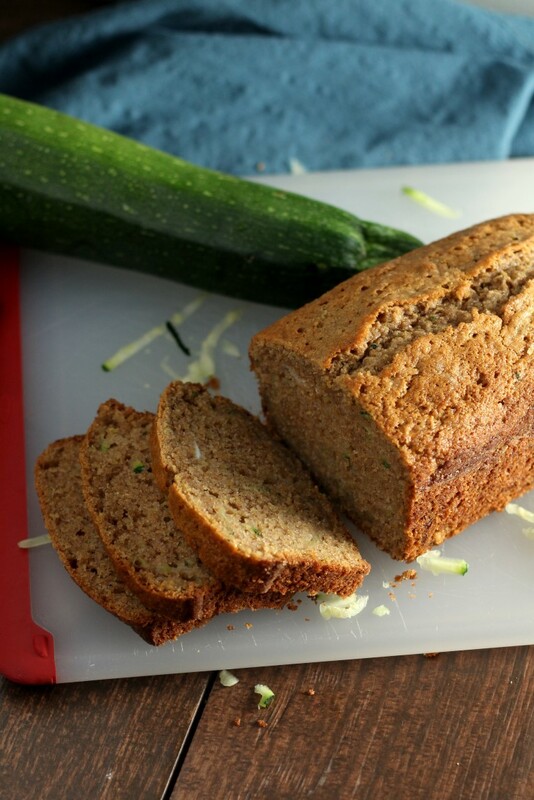 This was a great recipe to use up a bit of zucchini. Lots of great flavor, cream cheese frosting was perfect on this cake. Makes a small enough cake for the 2 of us, or enough to share for 4 people. It’s a keeper recipe! Great recipe to use up some zucchini! 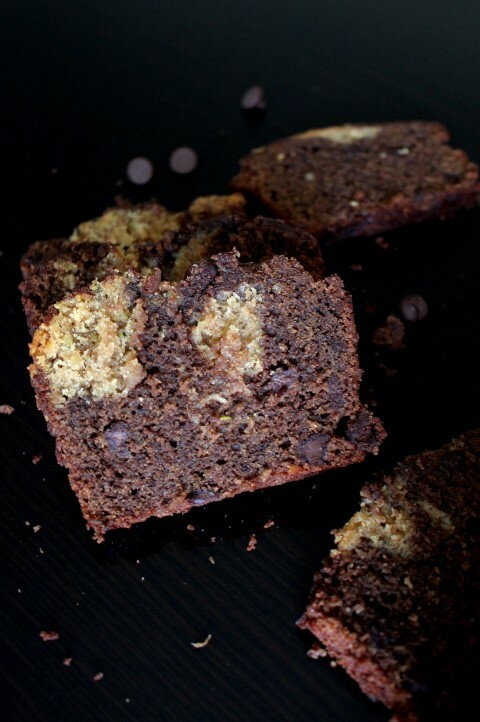 Easy to make, tastes great, and perfect for 2 people, or to share with 4. The cream cheese frosting is perfect on this cake. This recipe is a keeper for late summer when everyone has too much zucchini. Love the cream cheese frosting! 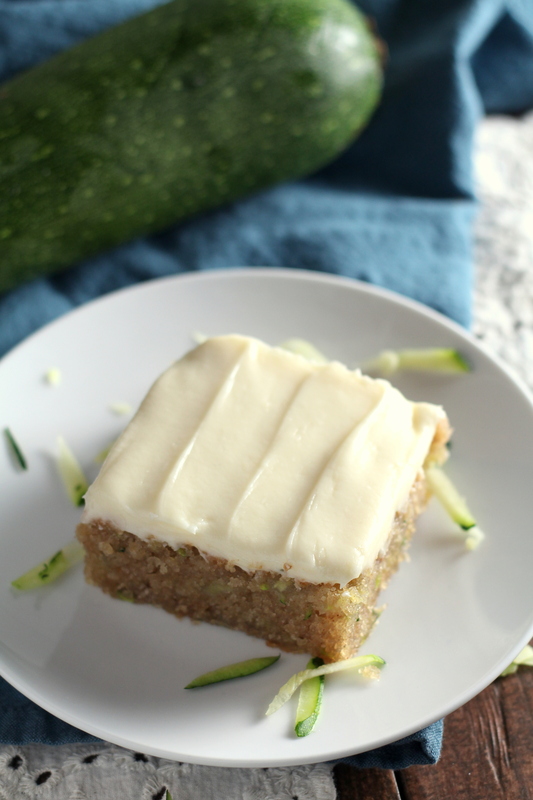 I already had made zucchini bread from another site’s recipe and I just needed the cream cheese frosting. So happy with this. I don’t think I’ve ever had a frosting come out so well. I’m going to try your zucchini cake recipe next time because I only used one egg from the recipe I followed and it didn’t rise so well.